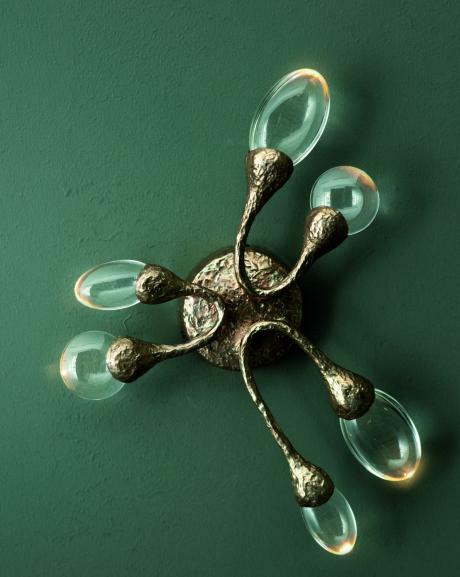 For those who want a little glamour and quirkiness in their homes, the Seed Cloud wallsconce by Ochre is for you. Solid cast bronze stems each housing LED inside tempered glass drops. We love the oddity of this design which mixes a sort of rough organic shape with a slightly fairytale feel. Available here.